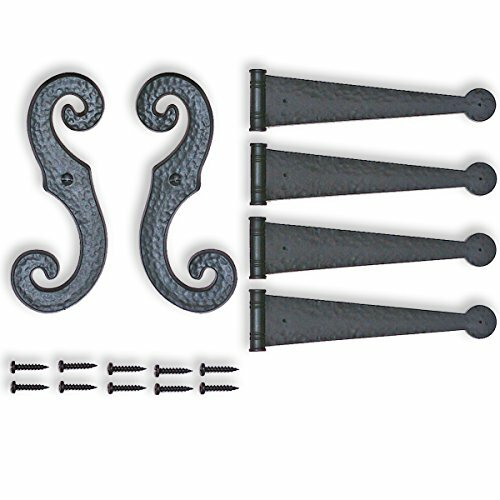 Decorative Hinges and 'S' Hooks are an inexpensive way to give your shutters that truly authentic look. They can be installed on any new or existing shutters, from any manufacturer. They work with any style and material shutter. Let the Decorative Hinges and 'S' Hooks extend the beauty of your exterior shutters. If you have any questions about this product by Perfect Shutters, contact us by completing and submitting the form below. If you are looking for a specif part number, please include it with your message.